Cycling '74 has announced the newest update to Pluggo, bringing OSX Audio Units support. Pluggo 3.1 is an extraordinary collection of more than one hundred audio plug-ins that work with Mac OS sequencers and audio applications that support Audio Units, Steinberg's VST plug-in format, and Digidesign's RTAS plug-in format. The update to 3.1 is free for all registered 3.0 users and available to registered 2.0 users at a discounted price of $99. For new users, Pluggo can be purchased for $199. Pluggo Post a comment ? www.macally.com/new/new_ivoice2.html Post a comment ? From the official press release: "Jack is a low-latency audio server, written originally for the GNU/Linux operating system. It connects any number of different applications to a single hardware audio device; it also allows applications to send and receive audio to and from each other. 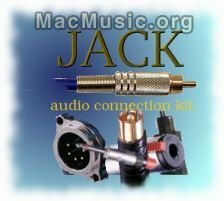 Jack is different from other audio server efforts in that it has been designed from the ground up to be suitable for professional audio work. It focuses on two key areas: synchronous execution of all clients, and low latency operation. Griffin Technology announces the iTalk voice recorder for the iPod. This accessory snaps directly on top of the iPod and turns it into a fully functional voice recorder and playback device. 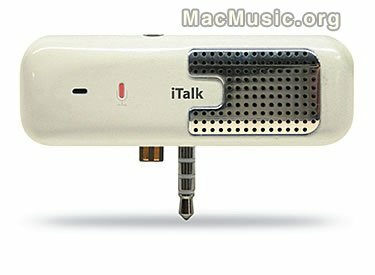 In addition to it's built in microphone and internal speaker the iTalk has a connector that supports both headphone monitoring and the use of an external microphone. PSP announces some news and evolutions on three products : EasyVerb, MasterQ and MixPack 1.7. PSP EasyVerb is a reverberation effect plug-in on VST, AudioUnit and RTAS formats for Mac OS X, and contains nine high reverb algorithms designed to simulate physical spaces. MSP EasyVerb costs 69 euros. PSP MasterQ is a parametric equalizer designed to operate at sampling rates ranging from 44.1 to 192kHz. MasterQ is a VST plugin for Mac OS X and costs 149 euros. 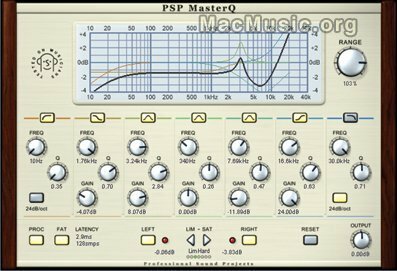 PSP MixPack is a collection of 4 plug-ins processors (MixBass, MixSaturator, MixPressor and MixTreble) in VST for Mac OSX, VST and MAS for Mac OS 9. The downloadable version costs 149 euros. Information regarding these three products are available on the PSP web site.